Yuetting Cindy Lam is a native Hong Kong writer. Her short stories are set in her homeland and have been published in various US and UK literary journals. The tales in her Hong Kong Leung-cha Stories series explore the complexity of human relationships and the conundrum of everyday life in Hong Kong. Readers will sense a minty, bitter taste and a subtly sweet undertone in these stories. Just like bowls of leung-cha. 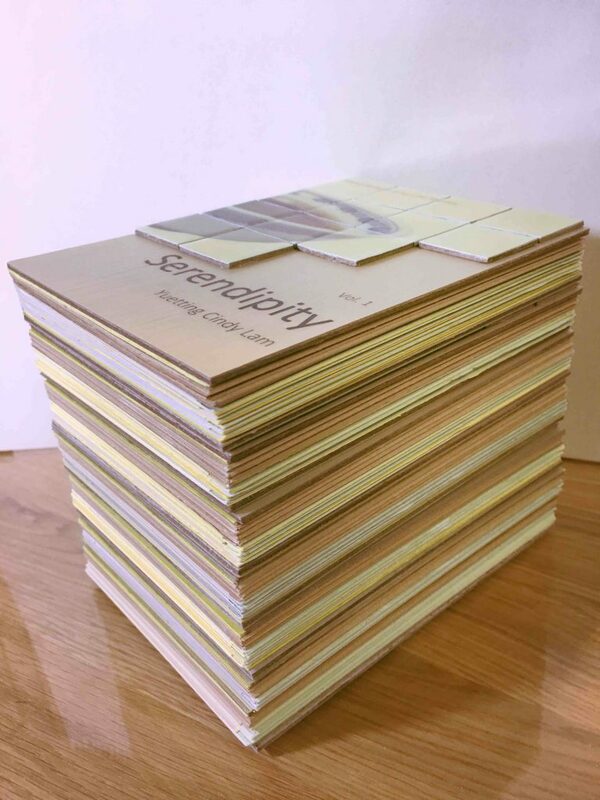 All the chapbooks in the Hong Kong Leung-cha Stories series are carefully handcrafted by Yuetting. 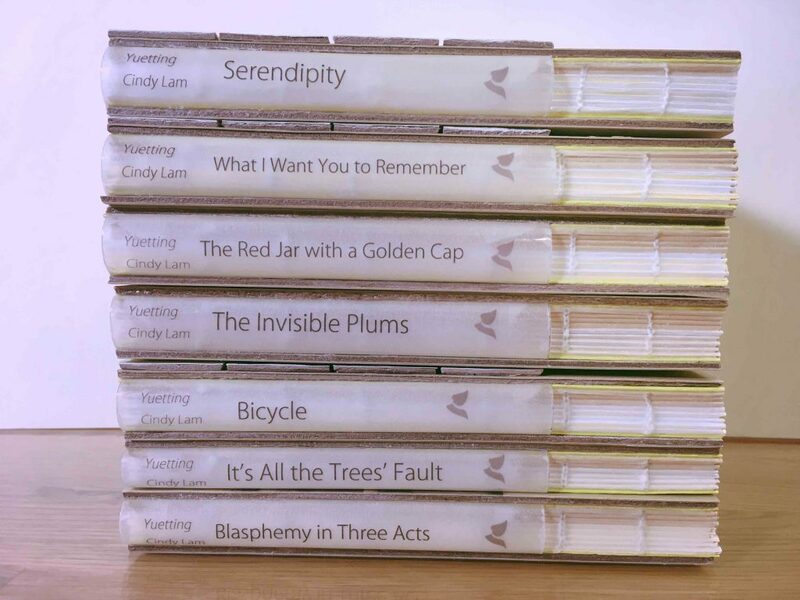 She uses kettle-stitch binding so that the pages open to 180-degrees and lie flat. 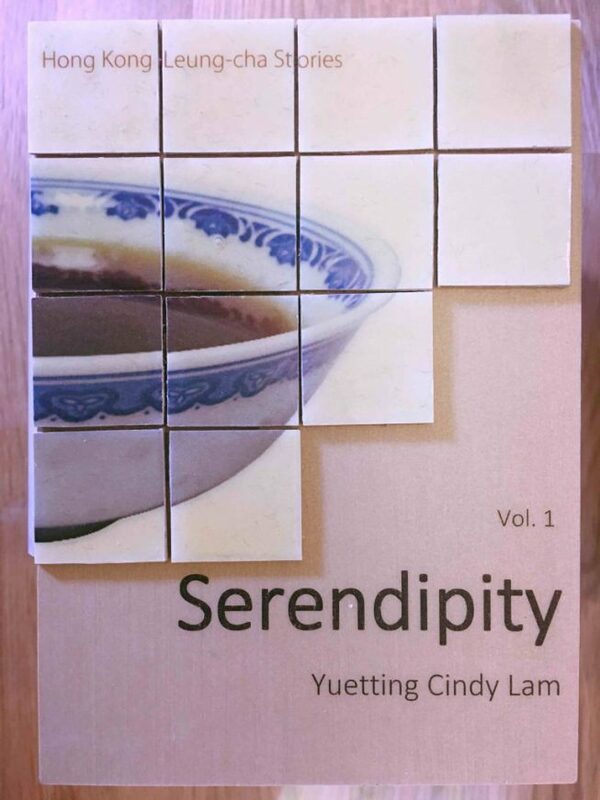 The handmade tiles on the book covers represent her impression of Hong Kongers’ unique leung-cha drinking culture.